More room, less fuel. The Airbus A321 will help Cebu Pacific to weather volatility in fuel prices, while also helping to decongest Manila’s Ninoy Aquino International Airport. 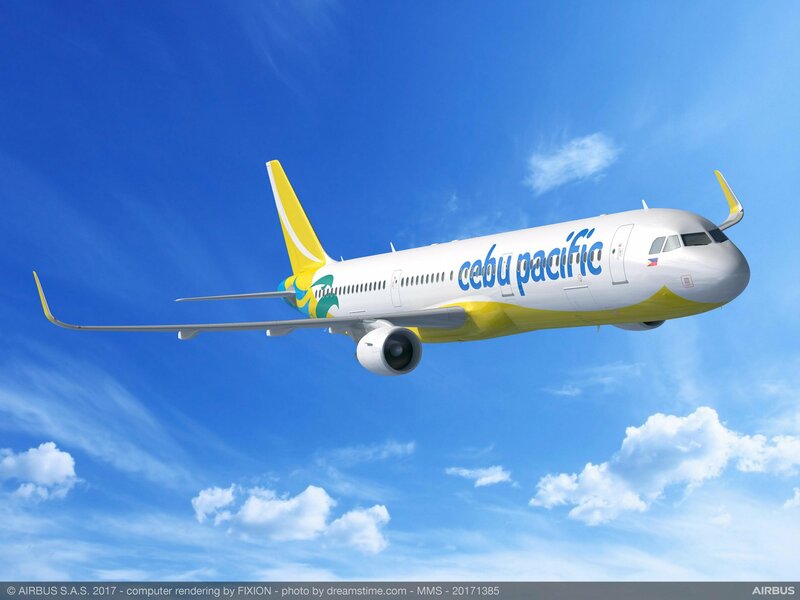 Cebu Pacific is preparing to introduce a fleet of the new Airbus A321 to counter volatile fuel prices and congestion at Manila’s airport. Charo Logarta Lagamon, a spokeswoman for the budget carrier, has announced that a number of new Airbus A321s will come into service later this year. “So far, we are expecting to receive the first of 32 orders Airbus A321 ‘new engine option’ (neo) in the coming days,” she said today (Wednesday, January 16). The A321neo can carry 236 passengers, 56 more than the 180 capacity of the A320. On top of this, the A321neo is much more fuel efficient. According to Airbus, it is the most efficient single-aisle jetliner on the market today. It delivers a 20 per cent per seat fuel improvement plus additional range of up to 500 miles as well as two tons of extra payload capacity. “Fuel accounts for a significant portion of the cost of any aircraft around the world. Oil prices are becoming volatile; it’s something we always look out for,” she said. The extra capacity will also help to offset the congestion problems at Manila’s Ninoy Aquino International Airport. As we have previously reported, the new planes are also being introduced by Philippine Airlines. PAL boss Jaime Bautista said the A321 made the national carrier’s entry into new markets. “We are enthusiastic about our New Delhi route because, for the first time, we have the right-sized aircraft for the Indian market,” he said.